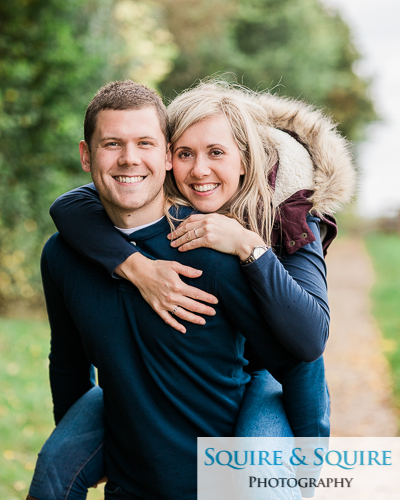 Last week I met up with Sally and Steve for their pre-wedding engagement shoot, they are getting married at Malory Court Hotel next spring. 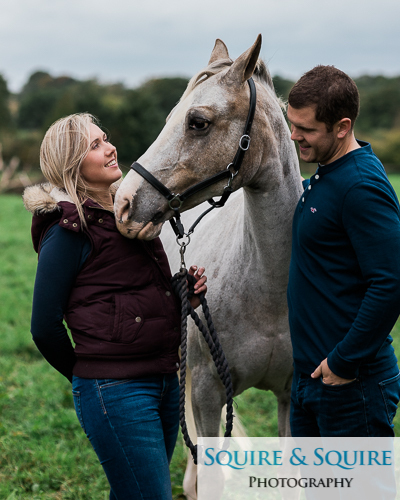 When Sally and Steve booked me for their wedding photography we discussed locations for the engagement shoot Sally suggested including her horse Molly. I have done a few bits of work over the years involving horses and I am always keen to try anything. We set a date and a place and naturally, for October the weather was absolutely awful, very high winds and drizzle on the day. I don't mind getting wet as long as we get the portraits and because Sally and Steve are outdoor types they weren't bothered either, when the rain really came down we headed for the barn and when it stopped we headed out into the fields. These are my favourite images out of a set of nearly eighty images.